The Bora Outdoor Floor Lamp stands at 59’’ tall and may be used as general lighting for an ambient setting, or as direct light used for activity, like eating or reading. Outdoor lamps have special considerations that indoor lighting does not, as outdoor lighting must be able to weather the elements. Some outdoor lighting is better equipped than others, and Kenroy Home takes more measures to ensure safety than most. 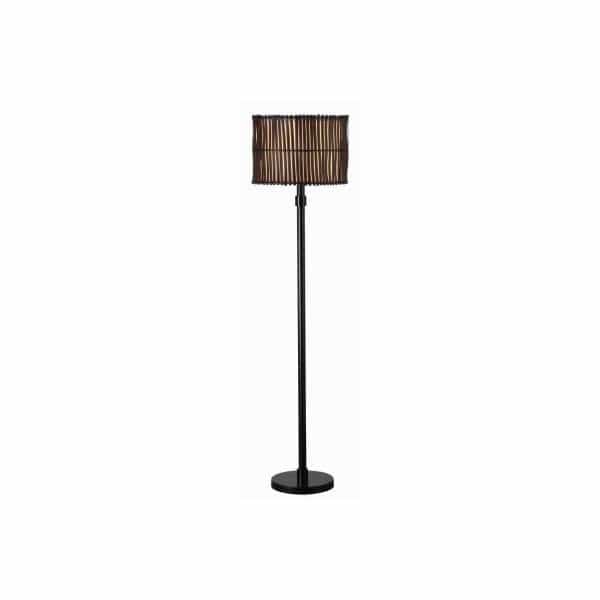 The Bora Floor Lamp is UL safety approved for wet locations and the safety of the waterproof socket on/off switch. It is made of all weather fabrics and rustproof materials, the bulb is completely protected by watertight bulb shielding, and the base is heavily weighted for stability through inclement weather. The Bora features a dynamic two-layered shade, with a rustic pattern of split bamboo that opens to reveal the diffused glow of a cream inner shade. Let the Bora style excite you and the outdoor safety functionality will comfort you.